See scan - very good condition. 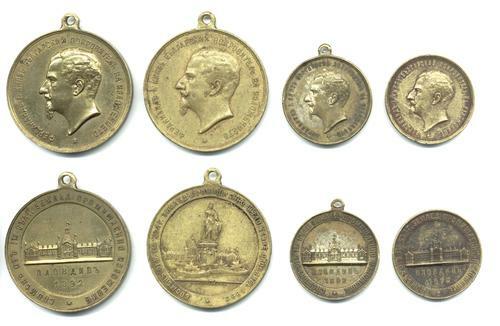 This is a very nice and rare Bulgarian Royal group of 4 medals presented to participants during the 1st Bulgarian International EXPO Fair during 1892 with patron the Bulgarian Price / King Ferdinand I. All 4 medals have the King's portrait at obverse. Very nice collector set and one of the nice Bulgarian medals group.